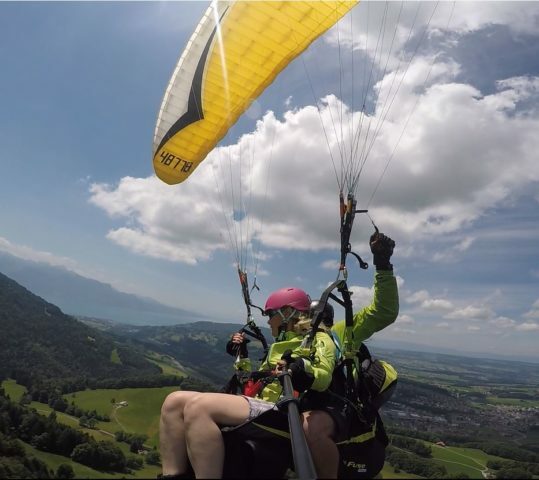 Paragliding has many facets. A classic flight consists in taking off from a pasture, looking for some ascents then gliding towards the landing field. To complete the flight, the most adventurous will enjoy some acrobatic tricks before returning to earth. 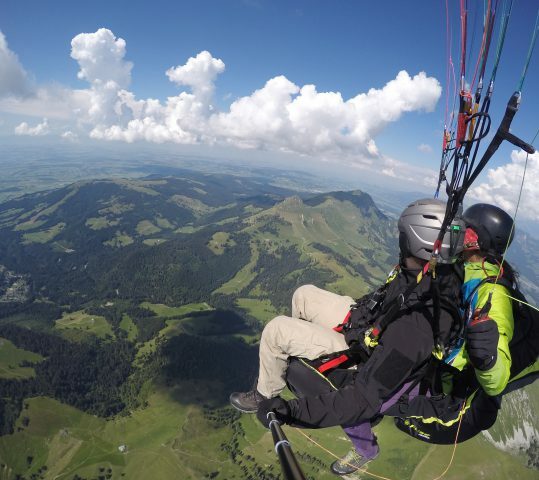 People looking to combine a short walk with a paragliding flight will enjoy flying in Les Paccots. Those who want to spend more time in the air will prefer a “Cross” type flight. 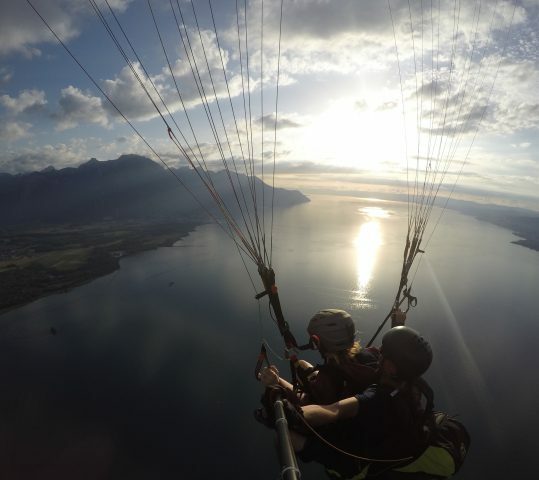 Sonchaux and Jaman allow you to fly over Lake Geneva and offer fabulous points of view. It is also possible to vary the landscapes and the types of flights by taking off from different locations. Some can be reached by cable car or funicular like Moléson, Charmey or Les Pléiades. A multitude of peaks like Tremetta, Niremont or Vanils (Gruyère) are also reachable on foot and allow you to do magnificent “hike & fly”. Interested ? Feel free to contact me.